Volunteering at Treborth is a great way to learn more about plants and the natural environment. 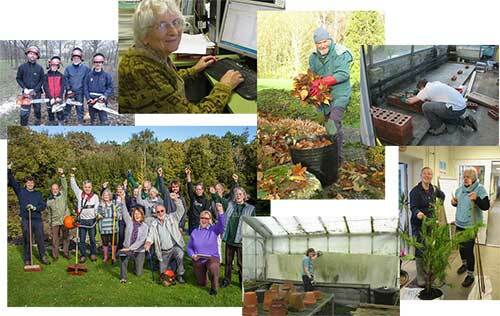 In fact, much of the garden is maintained by volunteer support and we're tremendously grateful for all the support we get. If you have a particular talent for gardening, or are just keen to learn, then you'd be more than welcome in the Garden! Volunteer days are on Wednesdays and Fridays. Please email treborth@bangor.ac.uk to enquire about volunteering.